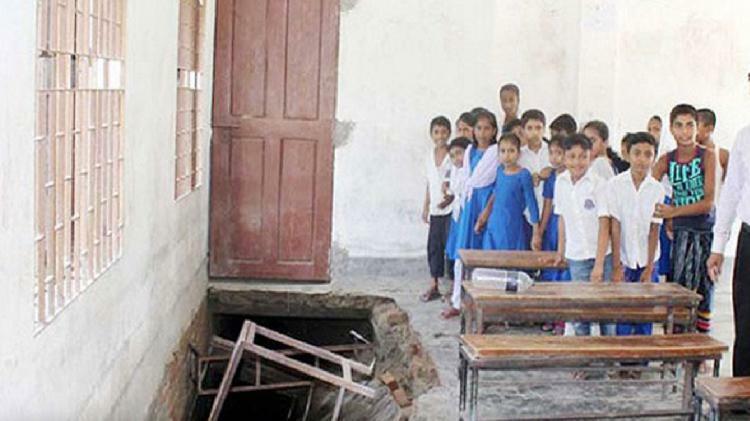 District primary education officials have identified 448 schools in 17 upazilas as highly risky. Many young students are attending classes in these buildings though there’s no initiative from the administration to carry out any reforms. Consequently, the number of students is falling. The plaster of the walls on many buildings is falling, water is leaking from the roofs, windows and doors are breaking down. During summer, students are attending classes under the sky while they are forced to sit in class during rainy season, disregarding the risks. The district primary education officials have declared the auction of the 448 buildings, facing risk of accidents. We raise the issue every year and applications have been made at the district and primary education department; hopefully, the schools will be free of problems gradually, he said.